How to get started teaching guitar? At Live and Teach Guitar you have access all of the above resources, training and advice to make sure you get started using the right strategies and the right materials. With our resources you will learn how to teach guitar like an expert. The type of Guitar Teaching Materials you use has a big impact on how successful you become as a teacher. Using poor quality materials such as hand written notes and generic guitar method books will discourage your student and won't help them learn effectively. The best way to teach guitar is to use custom guitar lesson plans that are selected to suit each individual student's needs. When you use custom guitar lesson plans, you have full control over how you teach your student and what direction to take them. This gives you greater flexibility as a teacher and will make your job very easy. The problem with teaching out of a book is it gives your student the wrong signals. When your student sees that you're simply teaching out of a book they could have bought from any guitar shop, they question whether it's even worth getting lessons from you! Why bother having a guitar teacher when you can teach yourself from the same book? To avoid this problem you can drip feed your student custom guitar lesson plans available here to keep them interested. Access our range of Guitar Teaching Materials here. Don't let the name 'business' scare you away, because a guitar teaching business can be extremely simple when you follow a few simple strategies. Learn how to attract new students without spending anything on advertising, how to make sure your students pay on time, how to set up your own website in five minutes and much more with our comprehensive business guides. Our business guides have been written with only the most relevant information for guitar teachers. Reading our guides will give you the ability to manage your timetable and handle the money side of things with ease. Many guitar teachers face issues because they don't know how to properly manage their students and their money. Don't let the same issues stop you from succeeding as a teacher. Access our range of Business Guides here to help you properly run your teaching business. You may be a great guitar player, but do you know how to teach guitar? There are many great players who are lousy teachers and many lousy players who are great teachers. How can that be? The truth is you don't need to be an expert player to teach guitar. All you need to know is how to teach guitar. If you understand effective teaching techniques and methods, you can become an excellent teacher. Remember that all that matters is how you teach guitar - not your guitar skill level. As a Live and Teach Guitar Member you will have access to guides and advice on how to be a great teacher. We will help you understand and apply basic teaching techniques using case studies and easy examples. We also have Training Courses to give you effective teaching methods to apply in your lessons. Each course provides step-by-step instructions to enable you to use the information. Find out more on what Live and Teach Guitar Members have access to and how you can use our resources to become a great guitar teacher. As a member you can even create your own website to promote yourself as a teacher. 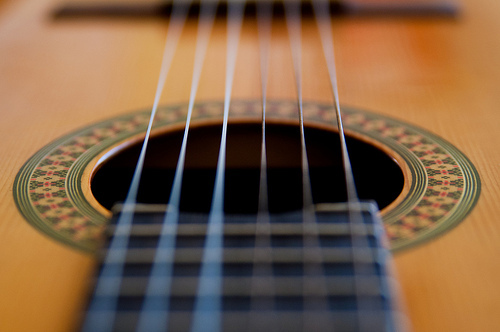 Everything you need as a guitar teacher is available to members.